As teachers, most of us were taught that content knowledge combined with effective pedagogy makes for the best teachers. Today, however, we live in a world where you no longer have to be a content expert. If you don't know the answer, you can Google it. So can your students. You are no longer the only content expert they have access to. We are forced, then, to teach them how to curate the infinite amount of knowledge that is available on the internet as opposed to assigning text book reading. Technology has forever changed our instruction--both what we teach, and how we teach it. TPACK (Technological Pedagogical and Content Knowledge) is an attempt to explore how technology overlaps the traditional cross-section of content and pedagogy. Take a look at the introductory video on the right, and then dig a little deeper below. This module culminates in the creation of your own TPACK diagram. Take a half an hour and read this article. Take note of how the overlap of the three domains might apply to your specific grade-level and subject(s) taught. 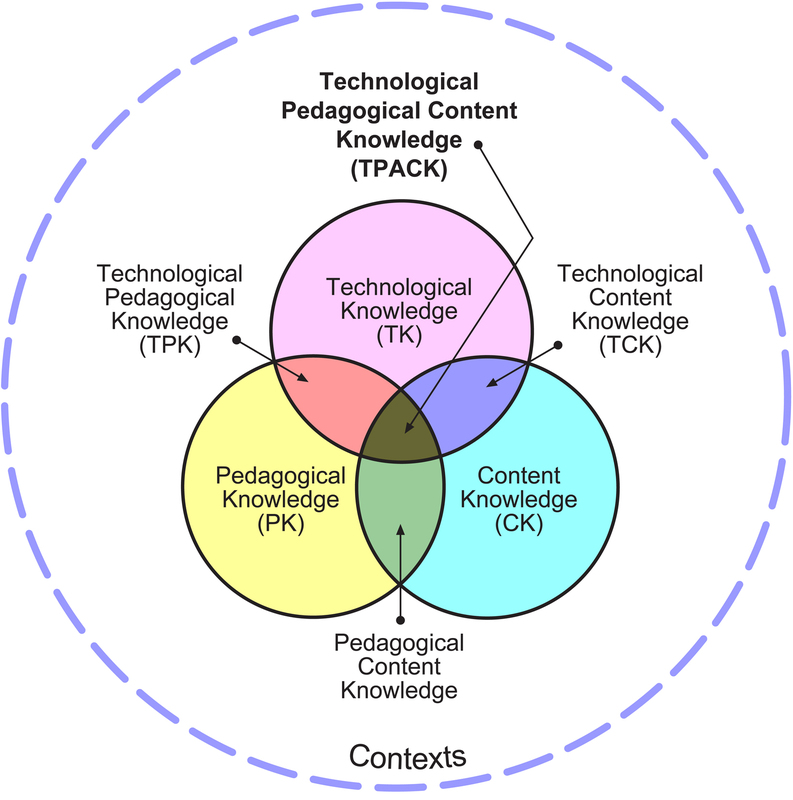 Create your own TPACK Venn Diagram, reflecting on your content knowledge, pedagogy and current technology overlap. In what area could you use the most improvement? Considering your own subjects taught, and what you've read on PBL, what might that middle area, the intersection between content, pedagogy and technology look like in your classroom? You may use Web2.0 tools such as Creately, GoogleDraw, Gliffy, or draw one by hand and upload a picture or video of it!